This Blomberg LWF27441W washing machine brings together tailored washing and energy efficiency to give you a perfect wash whilst saving you money. This versatile Blomberg washing machine features 16 programmes to suit your every washing need. Time saving programmes such as Mini 14’ and ‘Fast Full Load’ allow you to breeze through your dirty washing pile in no time. Mini 14’ lets you wash 2 kg of lightly soiled clothing in just 14 minutes, while Fast Full Load washes a full 7 kg load in only 32 minutes. 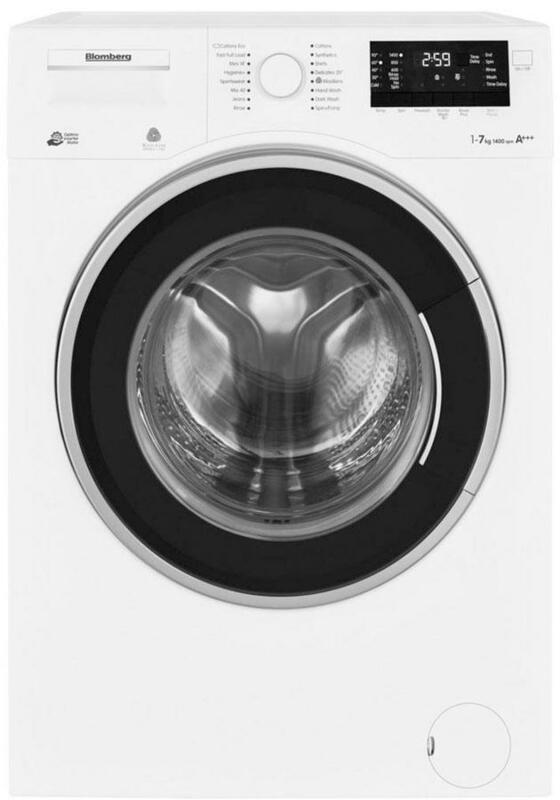 The LWF27441W also has three optional built-in functions – Prewash, Anti-Crease and Wash Plus. 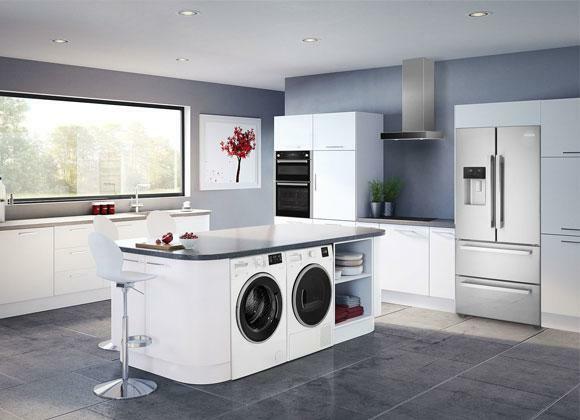 The range of programme combinations and functions means you can adapt your wash to suit you and your clothes.Variable spin speed and temperature control also allow you to tweak your settings. Love the fact you have a selection of shorter washes. So easy to use and the fantastic big door,makes loading it so easy. Washes clothes really well and good spinning as well, Quick economic programs make using it a simple. Extremely quite and a good build quality, the depth of the machine is a little more shallow than some others allowing it to retreat nicely under the work surface. Nice looking machine, with a large door, there are also quite a lot of options depending on what you are washing. It also runs and spins very quietly. Looks great, washes well and compared to other models has reasonable run times for standard washes. Good value for the size and quality of build. The machine is quiet and has a good sized door. The fast full load feature is very useful. There are of few programs to choose from. There is a full load wash from 28 mins and also a quick one from 14 mins. Very quiet. Generally a great machine, glad purchased this machine. It has a great more number of different cycles too choose from.